Summertime is about to hit full gear, as the CNE is just around the corner. 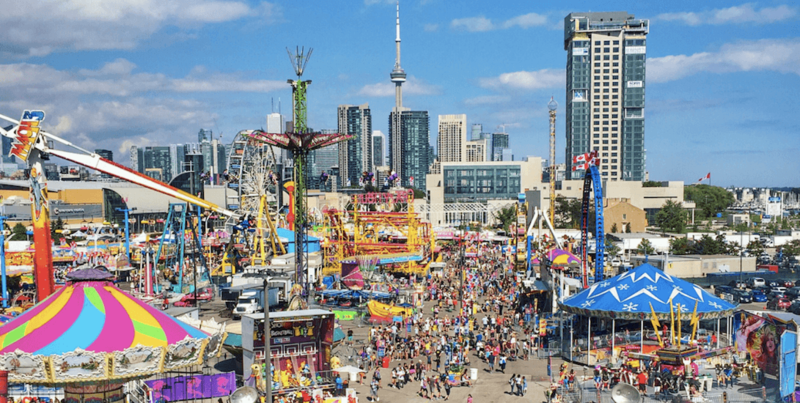 The Canadian National Exhibition (CNE) kicks off August 17 to September 3, and will be returning with more diverse programming than ever before, along with new and exciting attractions. As 2018 celebrates the Canada-China Year of Tourism, the CNE will be home to one of the world’s largest indoor lantern festivals featuring 17 illuminated large-scale art installations on display daily inside the Enercare Centre, as well as an outdoor Telus Asian Market transforming Princes’ Blvd. into a bustling and lively marketplace for artisanal crafts and authentic street foods over the last few days of the Ex. And to celebrate its return, the CNE is offering its opening day passes for just $10. The CNE pass is $19.99 this year, and tickets are available online. But for those heading to opening day, $10 will get you grounds admission, and access to all shows and exhibits on Friday, August 17. Discounted opening day tickets are available at the CNE gates.